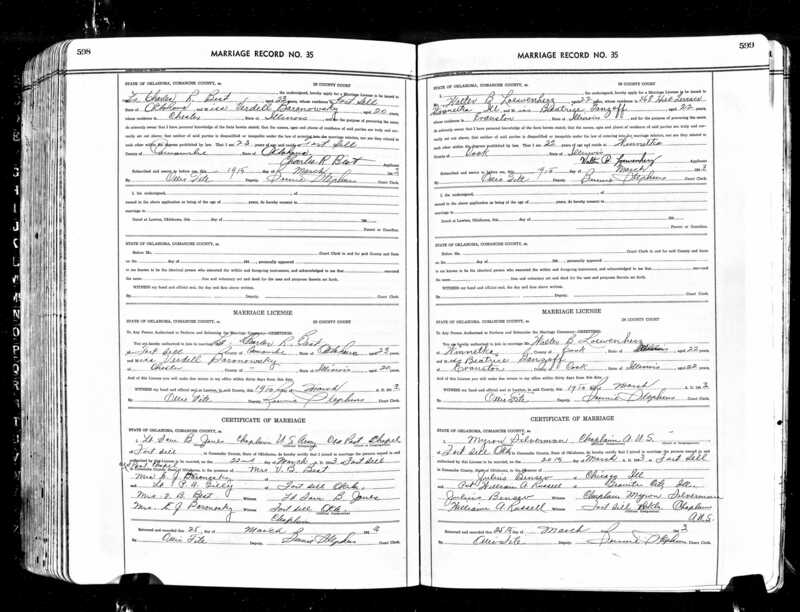 This entry was posted in Chicago, Denver, Genealogy, Germany, Goldschmidt/Goldsmith, New York and tagged Bensew, Germany, Goldschmidt, immigrants, Loewenherz, Mansbach, New York City, World War II by Amy. Bookmark the permalink. 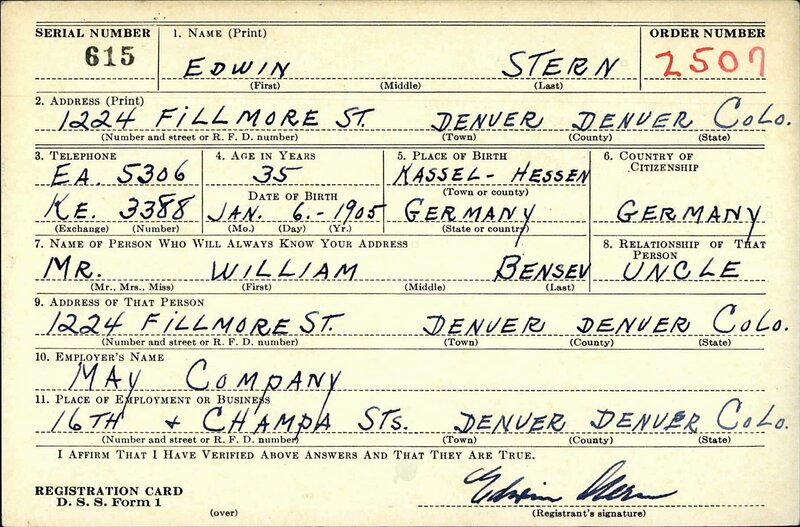 Amy, one thing that I find noteworthy in your post today is that Edwin Stern who had immigrated from Germany was allowed to serve in the US military even though he came from an enemy country. I heard that people who had immigrated from Germany were considered dangerous here in Canada. Do you have any more information on the treatment of German ‘aliens’ in the US? I am looking forward to read about Betty Goldschmidt, who stayed behind in Nazi Germany. There were many Jewish German immigrants who served in World War II. In fact there was a whole military camp for intelligence training at Fort Ritchie in Maryland, and German speaking immigrants were trained for the intelligence division so they could be used overseas to translate German communications. They were known as the Ritchie boys. Some of my Katzenstein cousins served in that corps. I don’t know whether non-Jewish Germans were included, but obviously the Jews who left Germany to escape persecution were not going to be spies for Hitler. Thank you, Amy, for the information! That makes a lot of sense. You’re welcome, Peter. Have a good weekend! I always find myself saying something like “wow, that’s interesting” out loud and with exception I did again reading your answer to Peter. reading this post I was struck by how so many of your family stuck together, living together, supporting each other in their shared professions. A truee testament to their family spirit. 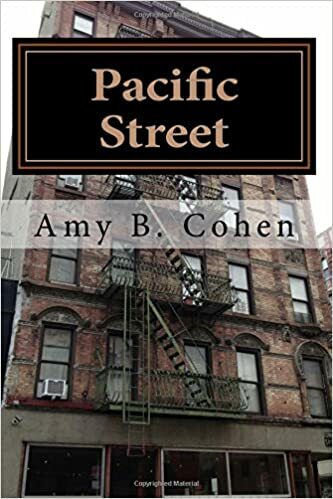 Enjoyed the post Amy! Thanks, Sharon! I am not sure whether they stuck together out of love or necessity! Thanks for pointing that out. Some of the records say they lived in Winnetka, others say New Trier. I thought that perhaps Winnetka was a part of New Trier, but wasn’t sure. I hope you’re able to find out who Mrs. Hon is! Wonder how this first name of the Bensew Daughter, Roschen, was pronounced in the US. Most likely in her German home town she was “Roes-chen”, little Rose. The Anglicized version is Rose or Rosa—at least as I’ve seen in other instances. I haven’t seen any women using the name Roschen in America, but I would pronounce it with a long O, not like “Russian.” This Roschen apparently stayed in Germany except possibly for a short stay in the US early on. Hi Amy! I can’t help but wonder if HON is a mistake. It does nto sound like a surname. Variations on the spelling of Hon include Honn, Haan, Hom, Hawn and Hahn. Perhaps searching under variations of HON may yield something…it’s worth a try! I have tried–but I just don’t have French resources, and nothing came up on the sites I did check. But I continue to look! I actually do think it might be a mistake—I wonder if it was Hahn—a much more German sounding and Jewish sounding surname. But I’ve no idea! This looks like one of those things that you keep in mind or on a list but can’t get too hung up on because there’s other more productive leads for other topics. I think you’re right. I’ve got to let this one go. At least for 2018!